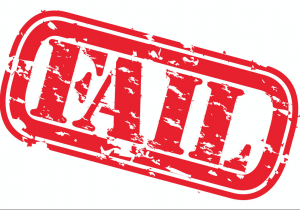 Will Your Practice Website Fail Accreditation? Not to be too alarmist but we have had one client recently have a close call during their accreditation due to the information on their practice website. So, I wanted to quickly run through some important points for your practice website. There are tons of references to the word ‘website’ in the 5th Standards, 26 to be exact! (click the link the some riveting reading of al 184 pages). As such we can see the RACGP giving more weighting and significance to a practice’s website. This is a good thing! Seeing 76% of us head to the web for medical information before picking up the phone. Thus, it is a given that any or all information on your website must be up-to date and must be accurate. I’m just kidding, you’ll get sufficient time to correct and update the missing or incorrect information. As always, we encourage all of you to update your website regularly. Create a process whereby your website gets updated on a set and regular basis. Have a second or third set of eyes read over the information and updates that are added to your site. Save yourself the trouble of getting pilled for old or incorrect information and get proactive with your practice website information. The reference below has been provided by QPA as a quick guide for the ‘Essential’ items & ‘Recommended’ items. The guidelines are specified for your practice information sheet, however I would highly recommend that you think of your practice website as well when reviewing this information. Each practice should consider its own circumstances to determine what information might be of interest to its practice population. Other practice topics might be relevant, for example: parking; appointment system processes, such as SMS reminders and walk-ins; visiting allied health opportunities; and the practice’s policy in regard to medicine safety, such as ‘no drugs of addiction are kept at the surgery’. Where a practice serves defined cultural communities, it is advisable to make written information available in the most common languages used by the practice demographic. As always, we’re here to help. If you’re unsure about how your website, I would highly recommend contacting your local surveyor to check if your website is compliant. Or if you think your site needs an update please feel free to contact us on (03) 9592 8986 or email websites@healthsite.com.au. When It Comes To Your Medical Website; How old is too old? Time-Based Appointment Type Bookings Now Available!